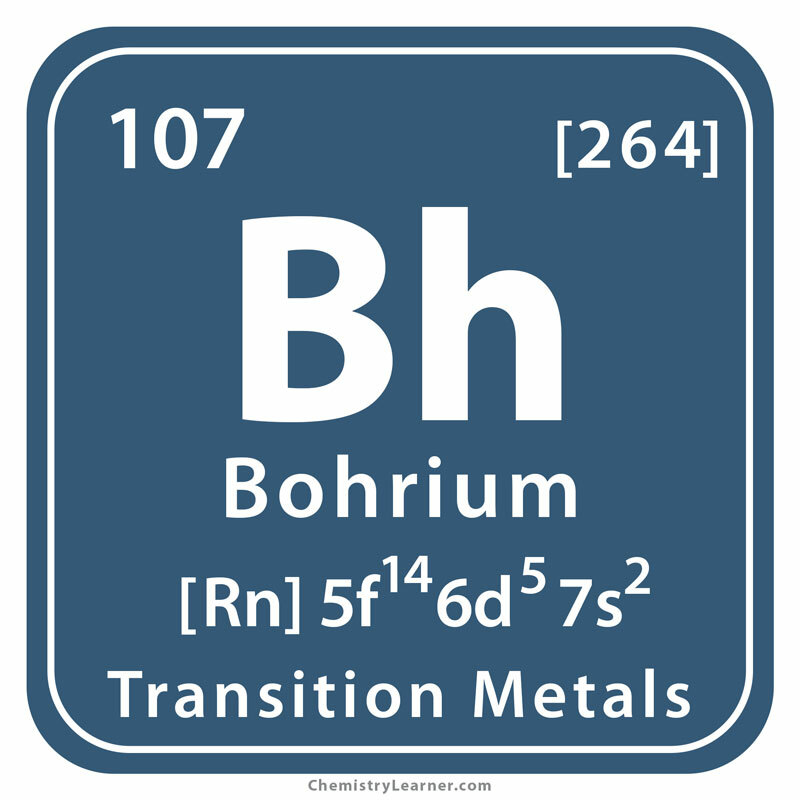 Bohrium (pronunciation BORE-ee-em ), represented by the chemical symbol Bh , is a synthetic, radioactive element belonging to the family of transition metals [1, 3]. 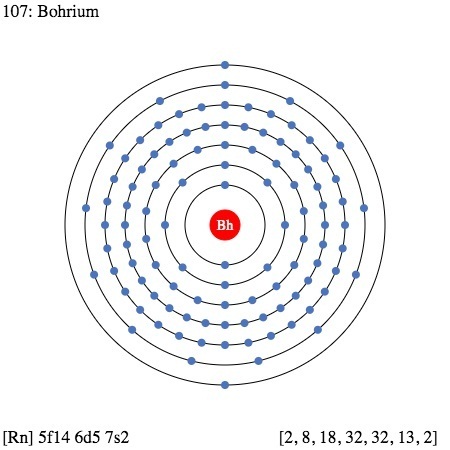 It has 11 known isotopes of which Bh 270 is most stable with a half-life of about 1 minute [2, 3]. It has no natural presence on the earth. A few atoms have been made in laboratories . Origin of Its Name: It is named after the Danish atomic physicist, Niels Bohr . Who Discovered It: A group of scientists led by German physicists Peter Armbruster and Gottfried Münzenberg [1, 4]. 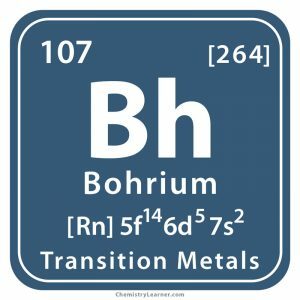 In 1975, a team of scientists led by Yuri Oganessian at the Joint Institute of Nuclear Research (JINR) in Dubna, Russia, bombarded bismuth with chromium to make isotope 261 of the element. They published the results in 1976 and submitted a claim for their discovery. In 1981, the team of Armbruster and Münzenberg at the Geselleschaft für Schwerionenforschung (GSI) in Germany followed the same process to synthesize a single atom of isotope 262. This gave rise to a conflict among the two parties involved and they started negotiating on who discovered it and thereby had the right to name it. IUPAC decided to attribute the discovery to the GSI team since their submission was more credible though they accepted that JINR was probably the first to produce the metal . At present, it is used for research purposes only . The highly radioactive property of the metal makes it potentially hazardous . 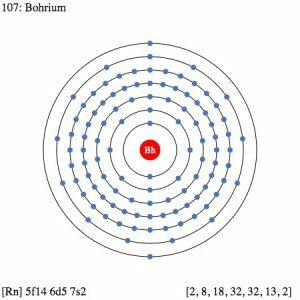 The discoverers wanted to name it as Nielsbohrium (chemical symbol Ns) after Neils Bohr. 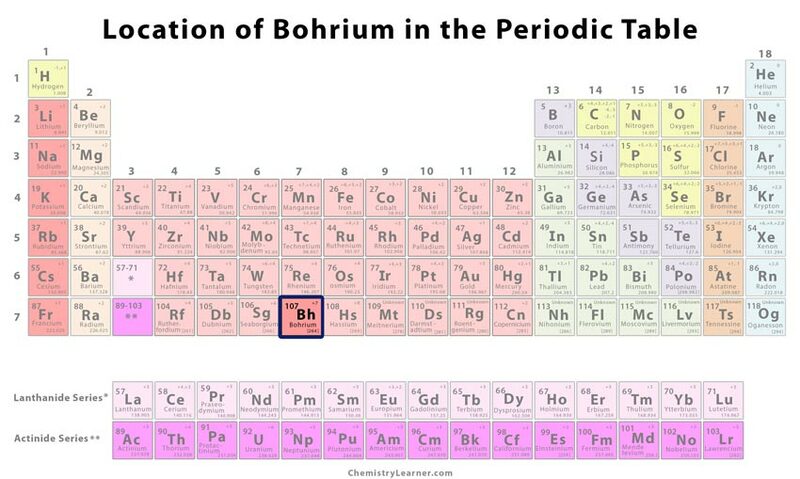 However, IUPAC suggested the name Bohrium as the first name does not feature in any of the elements named after a person. This principle had a universal acceptance . It was assigned a placeholder name unnilseptium (chemical symbol Uns) before getting its official IUPAC name . Unknown, as a very small amount has been produced till date [1, 3].